Where’s This Week’s Garden Spot For Corn, Soybeans? Warm weather continues to push corn and soybeans along. 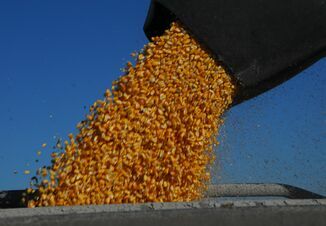 Monday’s USDA Crop Progress report showed the majority of the Nation’s corn and soybean conditions to be rated Good Excellent. The corn recorded to have the best condition might surprise you: Wisconsin. 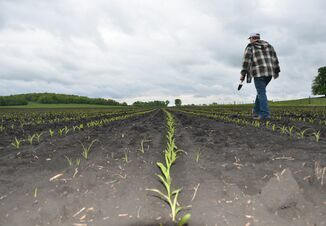 While farmers there had a slow start to planting, the corn crop is now 75% emerged, and 91% of the crop is rated Good - Excellent. Similarly, 88% of the corn in Colorado and Minnesota is rated Good – Excellent. Farmers to the south aren’t so lucky. Drought stricken Texas reported the poorest crop condition with 47% of the crop rated Poor – Fair and another 7% of the crop rated Very Poor. Similarly, 42% of the corn in Kansas is rated Very Poor – Fair. Soybean planting is moving along at a brisk pace. Since last week, farmers have planted another 10% of their crop. South Carolina farmers are furthest behind with only 54% of their crop planted. Louisiana is the closest to the planting finish line with 97% of the state’s beans in the ground. Soybean emergence has continued steadily as well. Warm weather helped 21% of the nation’s crop emerge since the last report. 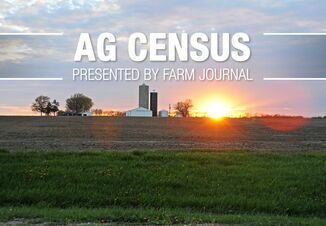 The crop is now 68% emerged, above the five-year-average of 52%. In it’s first crop conditions report for soybeans in the 2018 growing season, USDA indicated that soybeans are thriving in farm country. Wisconsin is also the garden spot for soybeans this week with 89% of the crop rated Good – Excellent. The soybean crops in Minnesota and Kentucky are both rated 88% Good – Excellent. North Carolina and Missouri tied for the poorest soybean conditions in the report at 54% Good to Excellent.